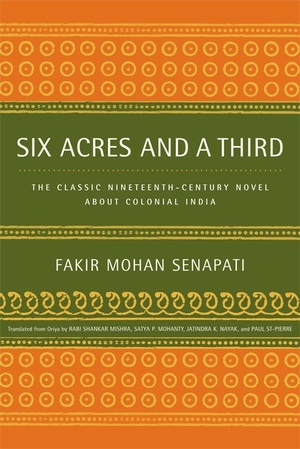 This sly and humorous novel by Fakir Mohan Senapati—one of the pioneering spirits of modern Indian literature and an early activist in the fight against the destruction of native Indian languages—is both a literary work and a historical document. 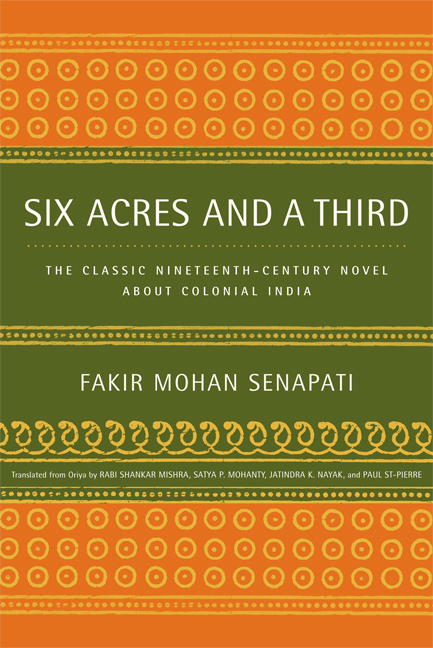 A text that makes use—and deliberate misuse—of both British and Indian literary conventions, Six Acres and a Third provides a unique "view from below" of Indian village life under colonial rule. Set in Orissa in the 1830s, the novel focuses on a small plot of land, tracing the lives and fortunes of people who are affected by the way this property is sold and resold, as new legal arrangements emerge and new types of people come to populate and transform the social landscape. This graceful translation faithfully conveys the rare and compelling account of how the more unsavory aspects of colonialism affected life in rural India. Poet, novelist, administrator, social reformer, printer, businessman, and patriot, Fakir Mohan Senapati (1843-1918) was born in a Khandayat family in a small village near Balasore town in Orissa. Satya P. Mohanty is Professor of English at Cornell University.